The first nine days in March contain a number of events and services of interest. On Tuesday 1 March the quarterly remembrance of the founder, benefactors and others who have had a major part to play in the life of St George’s takes place. During the course of the evening service a list of names, some well known to history, others who had a life less in the public eye, is read out by the Dean of Windsor. Also remembered are those who have given of their time or in other ways over many centuries but whose names have not been recorded. As is now traditional the Chapel choir sing ‘The Whirlwind’ with music by Sir Walter Parratt during the service. The service is, as are the three or four services each day, open to all. The Chapel doors open at 5pm for the service at 5.15pm. 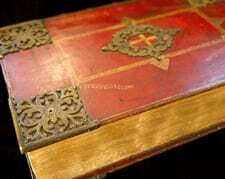 2011 marks the 400th anniversary of the King James Bible. During the course of these nine days, and through this Lent term, lessons at Evensong are read from the King James Bible. For more details on other events marking the anniversary please click here. 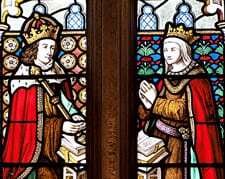 550 years ago, on 4 March, King Edward IV came to the throne. The building of the current Chapel, begun in 1475, was at his command. He lies buried, with his Queen, Elizabeth Woodville in the North Quire Aisle. For a timeline of the history of St George’s please click here. Tuesday 8 March is Shrove Tuesday. Ash Wednesday (9 March) is the first day of Lent. Services on Ash Wednesday include Choral Mattins at 9.00am and Evensong with Miserere at 5.15pm. For details of these and other Services, to which all are welcome, please click here.